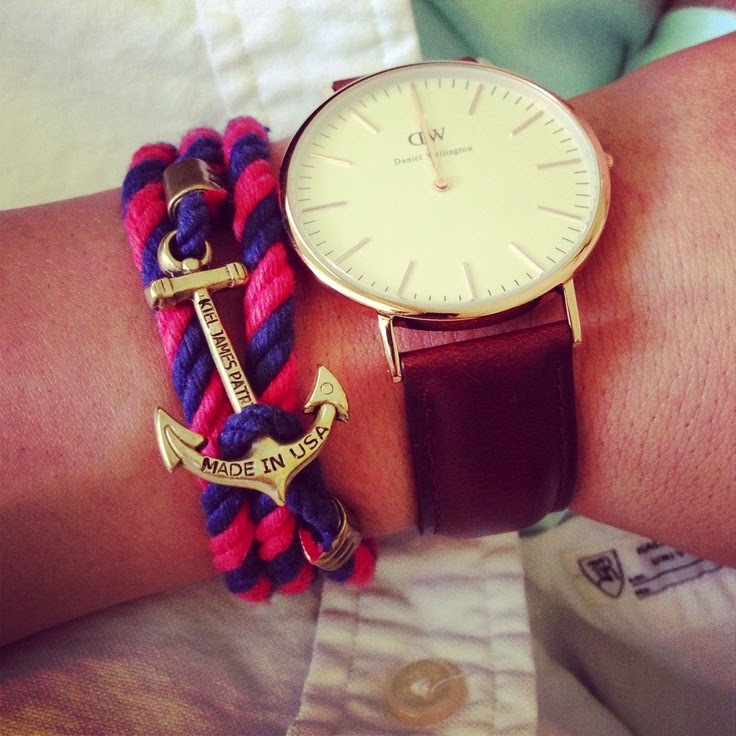 Obsession: KJP - emma and co. It almost feels ridiculous writing this post, because it seems like everyone knows how great Kiel James Patrick (KJP) or Sarah Vickers (Classy Girls Wear Pearls) is. For those of you who don't, they are the perfect all-American couple. 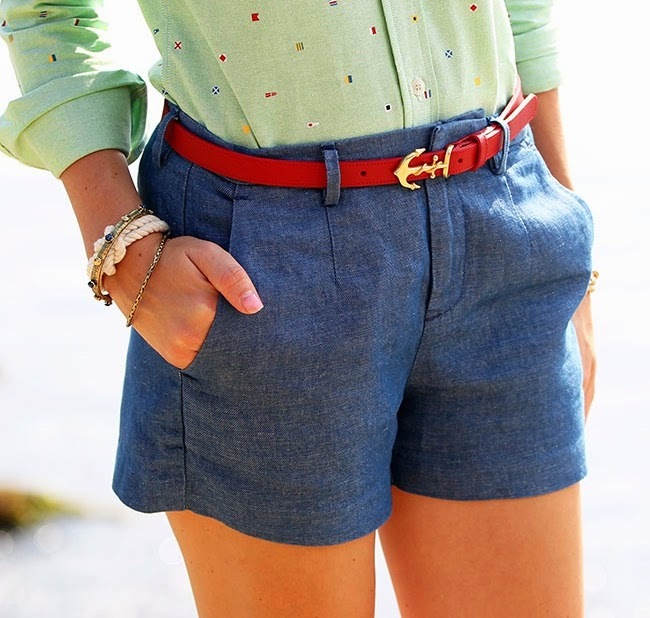 Sarah Vickers has the most beautiful pictures on her blog and Instagram, and Kiel is the founder of KJP, a company that makes (American made) bracelets, belts and other apparel for coastal living. They have really mastered the art of combining social media and running a company (check out their amazing Instagram here!) and you can tell how much they really care about their customers. 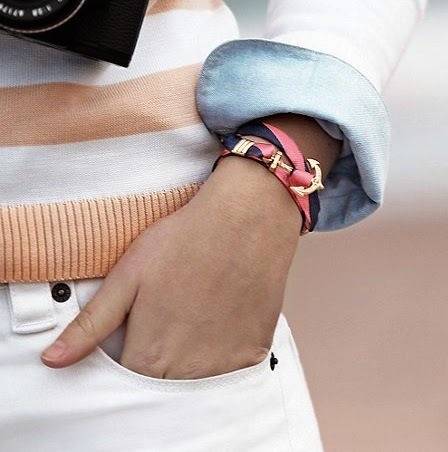 One of my favorite looks in the summer is an arm full of bracelets. The reason I associate them with summer is because my friendship bracelets usually fall off in the fall. 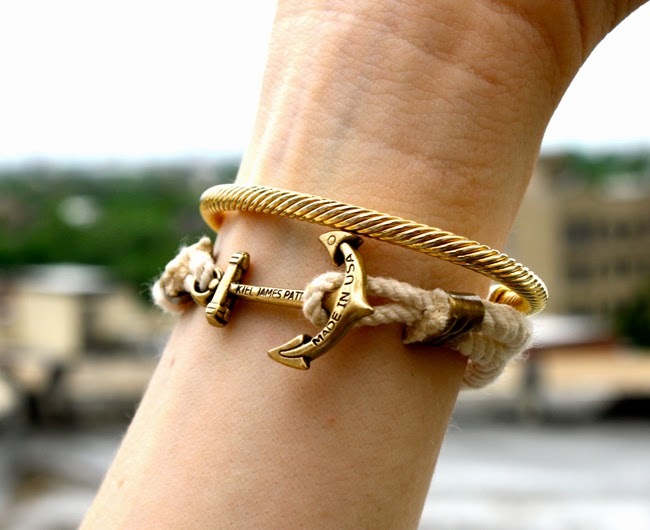 I am trying to get bracelets for stacks that will last past Labor Day, found a KJP bracelet at a local shop and am in love. Definitely worth checking out if you haven't already- the nautical theme is perfect for making it feel like summer all year round. Any favorite brands and companies that you love? I would love to know! Happy Friday! Even in the summer there is still something special about the end of the week. I hope you have a wonderful weekend!